Fig. 2. 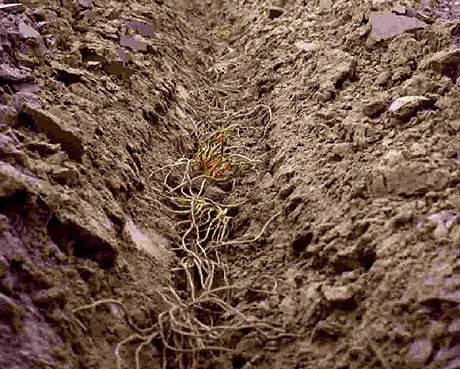 Asparagus crowns being planted in trenches (courtesy of T. Reid and M. Hausbeck).